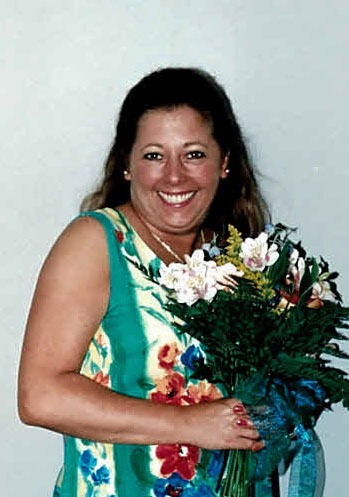 Portia Lynn Watts Poole, 56, passed away peacefully Friday April 5, 2019 at her home. Portia was born in Tarboro to Edith Johnson Watts and Lacy Watts. Portia was preceded in death by her parents, Lacy and Edith Watts; sister Patricia Watts Andrews; brother William Coleman Watts; brother-in-law Gene McQuage; and bonus son Christopher Gary Poole. She is survived by her husband of 16 years Cecil Gary Poole; sisters Darkas Watts Adams and Scarlet Watts McQuage, brothers-in-law Rhyan Andrews, Marvin Poole (Patricia) and Sammy Poole (Janet); sister-in-law Judy Wood (Jim); bonus daughter Amanda Poole (Lee); grandchildren Kelly Jones (Robert), Christopher Poole, Chase Poole, Ryan Jones, Mason Poole, Jayden Murray and Katie Poole; great-grandchildren, Kayleigh and Paislee Jones, and Chaslynn Poole; several generations of nieces and nephews that she loved dearly and treated like they were her own children; and her sweet canine companion Remi. Portia was a one-of-a-kind person with a larger than life personality. She loved to entertain everyone with meals and game nights. She always knew how to make you feel special. She will leave a huge void in the lives of all who knew and loved her. The family would like to express their gratitude to Kindred Hospice of Tarboro, UNC Chapel Hill Cancer Center, and her enormous circle of friends who have supported her tirelessly. A celebration of Portia’s life will be held on Saturday, April 13, 2019 at 11 AM at Carlisle Funeral Home with the family receiving friends and family one hour before the service and other times at her home on 529 Greenleaf Street, Rocky Mount, NC. (Sharpsburg). Pastor Mike Edmondson will be officiating the service. In lieu of flowers, memorial contributions can be made to Speight’s Chapel United Methodist Church, C/O Mike Edmondson, 1489 Pleasant Hill Rd, Rocky Mount, NC 27801.